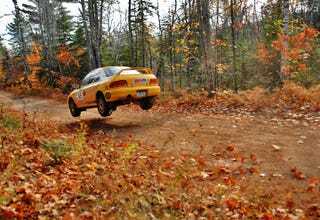 Does any one know where I can find more info on the Lake Superior Performance Rally? Specifically spectator points, and schedules. Do I just need to wait a bit for that info to become available? I'm still mad I wasn't there last year, so I missed this. Also check out this Shelby Daytona from the 97 LSPR. The things you find on the internet.